One of the best places we stayed on our trip. The apartment is spacious and well appointed. The kids enjoyed having Netflix. 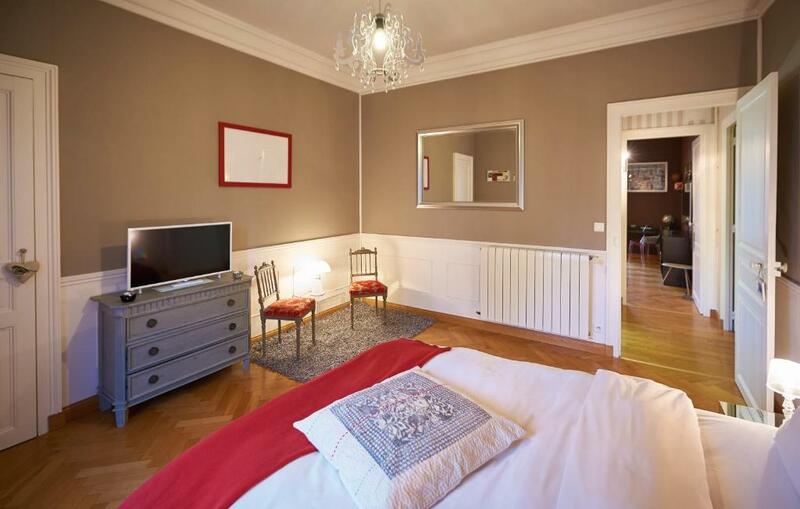 Great, big appartement furnished very lovingly with a lot of nice equipment. Nice breakfast. Very nice host. Everything. 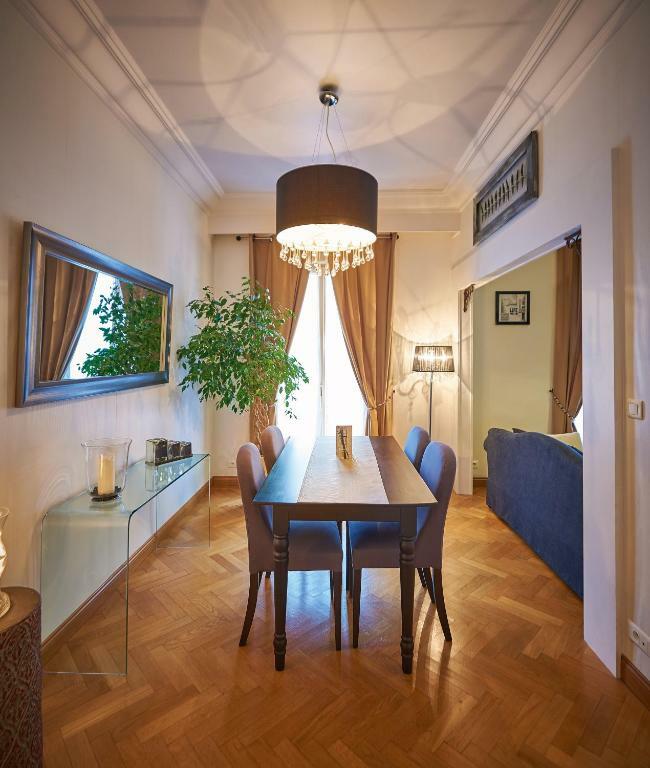 Fantastic apartment - great location, architecture, rooms, lighting, decor. Also level of cleanliness, facilities and even tea bags was great. Lovely, spacious and well appointed apartment. Ideal for a family of four. 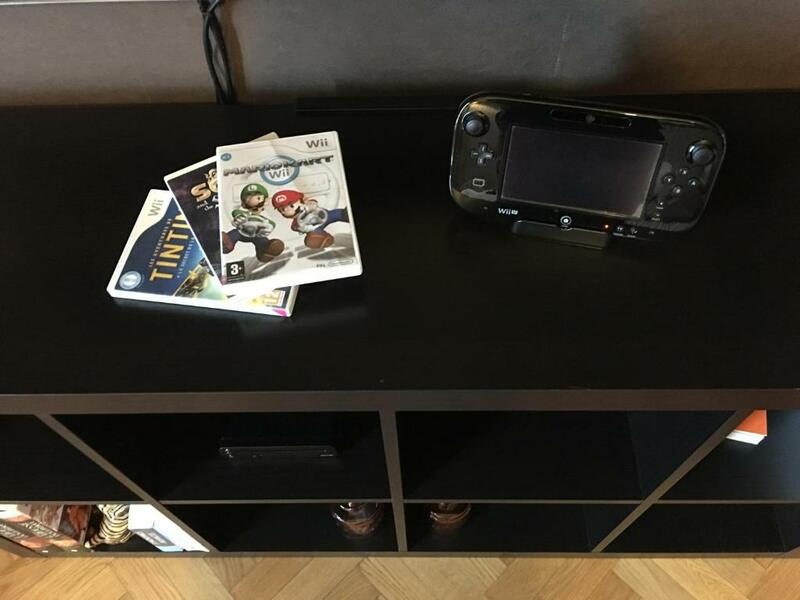 Our children loved the Wii. 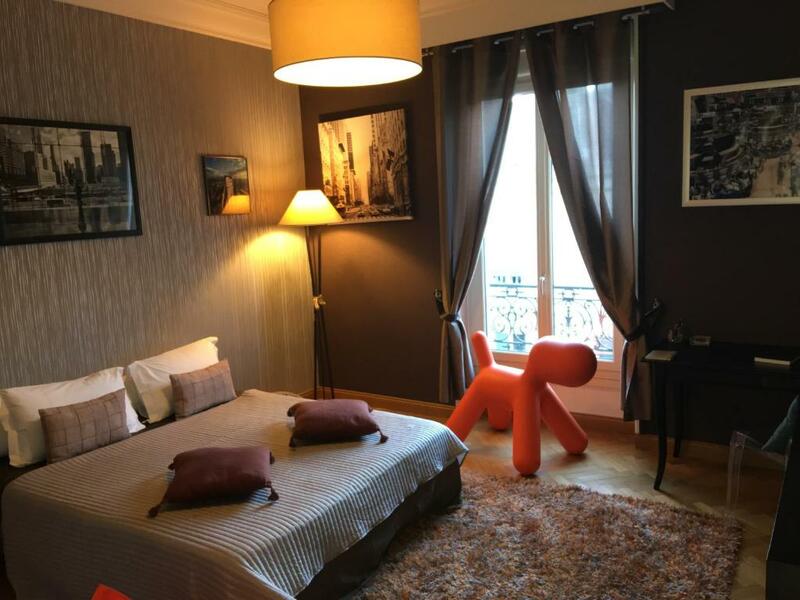 Comfy beds, spacious rooms, Very close to great restaurants and the old part of town. Our favourite place so far. Absolutely loved the appartment. 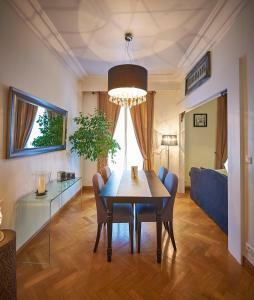 A spacious apartmenr that has been thoughtfully decorated. Convenient code operated key box. This was an amazing apartment, we couldn't fault it. We stayed in Le Mans for one night en route to Calais. Alexis was in touch with us as soon as we booked with details for accessing keys, parking etc. Right in the heart of Le Mans with the trams outside the door, and the main square only 200m walk away, this was a perfect hideaway. Beautifully decorated, spacious, spotless and well-equipped, and the most comfortable beds! We loved the big TV, comfy sofa, and well-designed living space. Restaurants and supermarkets were an easy stroll away, and secure parking just around the corner. We didn't have as much time in Le Mans as we would have liked, so will be returning here. Wouldn't hesitate to recommend this apartment. 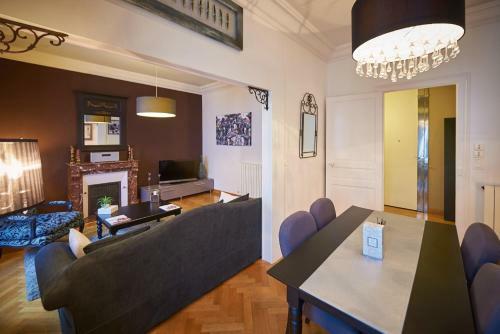 Lovely apartment in a great location. Alexis was very helpful and pleasant. Our children loved their room which was very well equipped for them. Easy to get parked close by with Alexis arranging a discount price of 10 Euro for the night. We would definitely stay again. 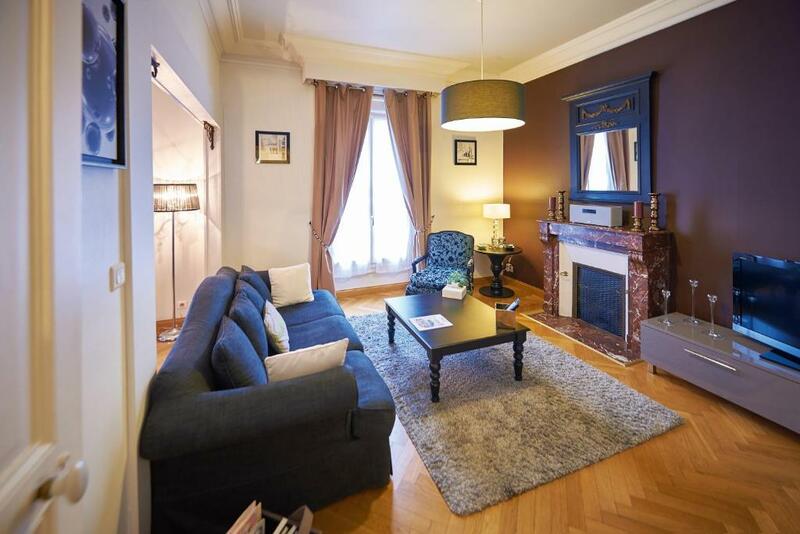 Lock in a great price for Appartement Plantagenet – rated 9.7 by recent guests! One of our top picks in Le Mans – and a guest favorite. Located in the center of Le Mans, Appartement Plantagenet is a self-catering apartment, equipped with free WiFi. It is just a 6-minute walk from Le Mans Cathedral and 5 mi from Le Mans Circuit and features a fireplace, a wooden floor and a flat-screen TV. 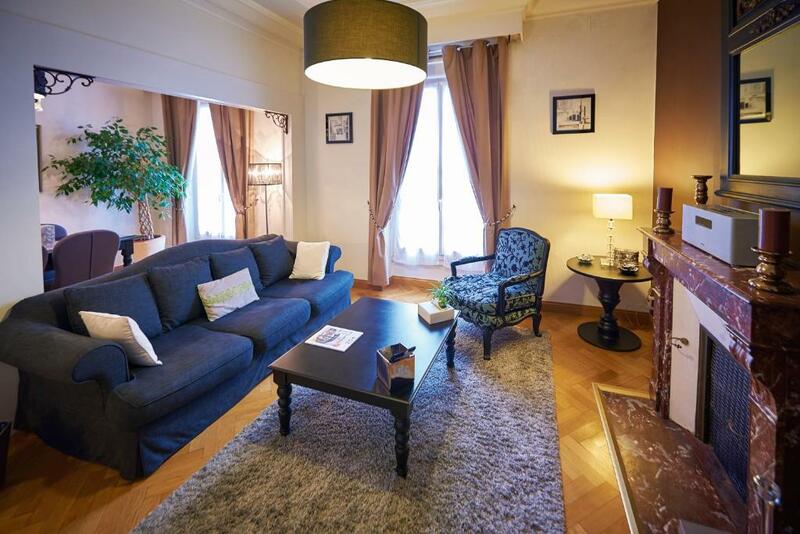 Appartement Plantagenet is made up of 2 bedrooms and a living room. It is complete with an iPod docking station and a CD player. The private bathroom is fitted with a bath and a hairdryer. A washing machine and an iron are also provided. You can prepare meals using the apartment’s kitchen. It has hotplates, a fridge, a microwave and an oven. It also includes an electric kettle, a coffee machine and a dining area. Le Mans Train Station is a 5-minute tram ride away and the Palais des Congrès is 500 feet from the property. You may also choose to visit the old town, which is a 1-minute walk away. 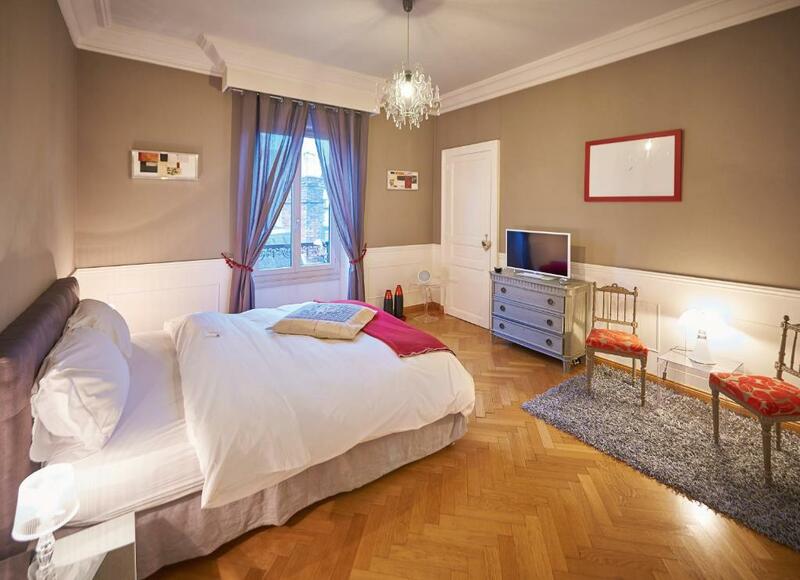 뀐 Located in the top-rated area in Le Mans, this property has an excellent location score of 9.6! When would you like to stay at Appartement Plantagenet? With a fireplace and a wooden floor, this apartment features 2 bedrooms, a dining room and a living room with a flat-screen TV, an iPod docking station and a CD player. It also has a fully-equipped kitchen and a private bathroom with a bath. 91m2 en plein centre-ville, seul, à deux ou en famille, l'appartement Le Plantagenet vous offrira tout le confort nécessaire pour un séjour agréable, reposant comme à la maison: parquet, hauteurs de plafond, double-vitrage, écrans plats dans chaque pièces, une salle de cinéma, consoles de jeux, machine nespresso, wifi illimité, cuisine équipée, lit 160*200... Au plaisir de vous accueillir! Appartement situé au cœur du centre-ville du Mans: a 10 mètres du Tram (arrêt Cité-Plantagenet), à 50 mètres de la vieille ville et à 5 minutes en Tram de la gare Visites, shopping, balades, restaurants, comme vous l'aurez compris, l'appartement Le Plantagenet est idéalement situé. House Rules Appartement Plantagenet takes special requests – add in the next step! Appartement Plantagenet accepts these cards and reserves the right to temporarily hold an amount prior to arrival. Please inform Appartement Plantagenet of your expected arrival time in advance. You can use the Special Requests box when booking, or contact the property directly using the contact details in your confirmation. Parking for anything other than a car is difficult. Great location, close to the city center. Walking distance to a lot of interesting places. Tea bags instead of tea leaves and croissants instead of brioche. BIG HOUSE AND CLEAN! NICE LOCATION!